The motion picture Jurassic Park premiers in Washington D.C. 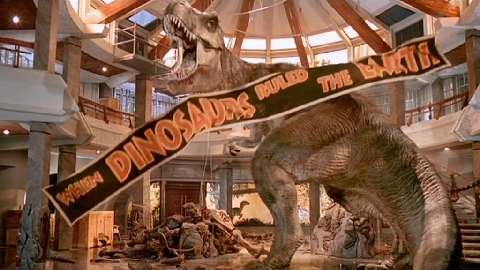 The highest grossing film in history at the time, the contributions of Jurassic Park to the field of special effects is perhaps as important as the original Star Wars movie 16 years prior. During the production of the movie, the decision was made to incorporate the use of computer generated imagery (CGI for short) in a large scale. By interweaving the use of CGI and animatronics, the movie’s special effects were of a realism unprecedented at the time (and for many still to this day). Jurassic Park jump started a wave of movies that made heavy use of CGI throughout the rest of the 90’s, and at present, the use of CGI pioneered by the movie is now entirely commonplace.